Romancing SaGa 2 (game, 1993). A role-playing video game by Square Enix/SQUARE ENIX CO. LTD. Developed by ArtePiazza, SquareSoft, Square Enix. Official Trailer. Romancing SaGa 2 is a role-playing video game by SQUARE ENIX CO. LTD. and Square Enix, developed by SquareSoft, Square Enix and ArtePiazza. 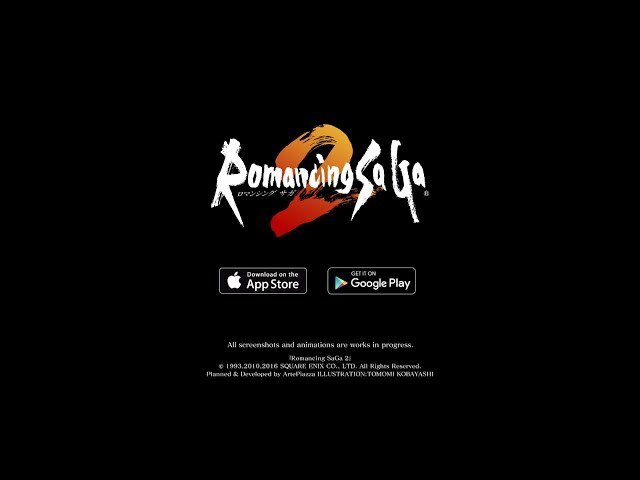 Romancing SaGa 2 Announcement Trailer. The Emperor or Empress of Avalon begins the game as King Leon and later plays as his various heirs down through the game years. Leon hands his kingdom over to his son, Gellard. At the end of Gellard's reign, the player is able to choose his or her own successor and pass on Gellard's abilities to them. At the end of each generation, he or she will be given a choice of four heirs. Their identity is based on a combination of chance and anyone whom the player has assisted or allied within in a past generation. Major characters: * Bard: A recurring character throughout the SaGa series, he begins the game by rekindling the tale of the Empire of Avalon and the battle of the Seven Heroes. * Waib: The woman who gifted the Avalon Dynasty with Inheritance magic. * Leon: The First Emperor of Avalon, killed by Kzinssie during a retaliation against him. * Victor: Leon's eldest son, killed by Kzinssie during his assault on Avalon. * Gerard: Youngest son of Leon; becomes Emperor after defeating Kzinssie. * Hiraga: A scientist who lives in Somon. * Coppelia: An android that resides in Somon a few generations after Kzinssie is defeated. She can only be used once in the game, so it must be chosen carefully when to recruit her. * King Harold: Ruler of Douglas of Cumberland. * George: King Harold's eldest son; leads the Holy Order in Nerack. * Sofia: King Harold's daughter; leads the Holy Order in Forfar. * Toma: Youngest son of King Harold. * Lord Ato: Lord that rules Chontou Castle; forms a pact with Wagnas. * Sekishusai: Retainer to Lord Ato. * Final Emperor/Empress: The culmination of the Avalon Dynasty's Inheritance magic. At the start of the game he/she will be at the same bar where the bard retells the Empire's battle against the Seven Heroes. In Romancing SaGa 2, the player plays as the Emperor or Empress of Avalon, a castle located in the northwest corner of the game's world map. The Treasurer, in the throne room, tells the player the fund reserve in his or her castle treasury. Development of new equipment and spells, and establishment of services in Avalon will consume funds. The Treasurer also fills the Emperor with walking about funds if the player needs it. Also in the throne room is the Accountant. He tells the player how much money he or she collects per battle. When the player controls more land on the map, the amount increases. In the southeast corner of the throne room is the Chancellor. He tells the player what problems need to be solved in the world and where to solve them. Solving the problems he points out aids the player to advance to the next generation. The Fighters are the default characters that join the player early in the game. They are not the best characters, but as the player advances through the game, he or she will get other characters who specialize in areas that the Fighters are weak in. The Formation Soldiers demonstrate any battle formations the player happens to know and will collaborate with the player to make new formations. If the heir the player chooses knows a formation, it is recommended that the player consult the Formation Soldiers. 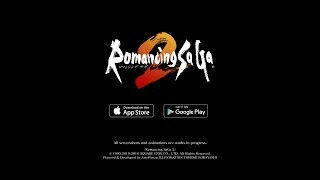 Romancing SaGa 2 was scheduled to be released by Square Enix and SQUARE ENIX CO. LTD. on December 10, 1993, on November 1, 2011, on March 24, 2016, on May 26, 2016 and on December 15, 2017. This video game is available for the following platforms: Super Famicom, Nintendo Switch, PlayStation 4, PlayStation Vita, Android, iOS, Microsoft Windows, Xbox One.